Equine Metabolic Syndrome (EMS) is the veterinary name for metabolic abnormalities in equines. Typically, horses and ponies become overweight expanding their middles or girth. These days obesity is a widespread problem in both humans and pets and leads to many medical conditions. We are harming our pets by overfeeding them. A horse’s digestive system is designed to graze for hours daily. Free-roaming horses will get enough exercise to work off calories searching for forage over long distances. In today’s world, with our busy lifestyles, we don’t always have the time to exercise our horses sufficiently to ward off obesity. Horses that spend most of their days in small paddocks or stalls are often fed far more grains than necessary. Without close attention to diet and limited exercise, our horses become prone to obesity. The easy solution is to better manage the horse’s diet by limiting calories and increasing exercise. Obesity increases risk of developing the hoof disease, laminitis, which can restrict a horse’s movements and often leads to loss of life. 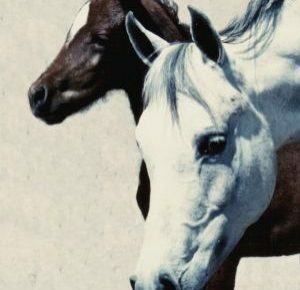 Researchers have found that the following traits lead to EMS: obesity, insulin dysregulation and predisposition to laminitis. EMS horses can also develop other conditions such as elevated triglycerides, high blood pressure (hypertension) and more. The scoring system to measure a horse’s body is called the 1-9 Henneke scoring system. A score of one is the poorest body condition where the horse may be emaciated while a score of nine is considered obese. Body scores of 4-7 are considered satisfactory by vets. 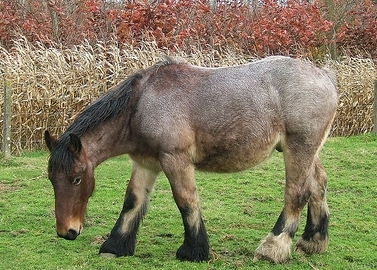 EMS horses often accumulate fat deposits in certain body areas such as neck, near the tail, above the eye and the belly. Obesity can exacerbate the problem of insulin dysregulation, either too much or too little insulin being secreted by the pancreas. EMS can usually be effectively managed by controlling the horse’s diet and increasing exercise so that the horse loses unwanted pounds. 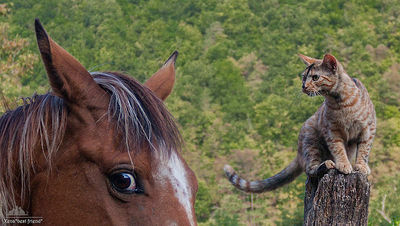 Some EMS horses may require medication. You can prevent or control EMS by managing your horse’s diet and activity and measuring body condition regularly.